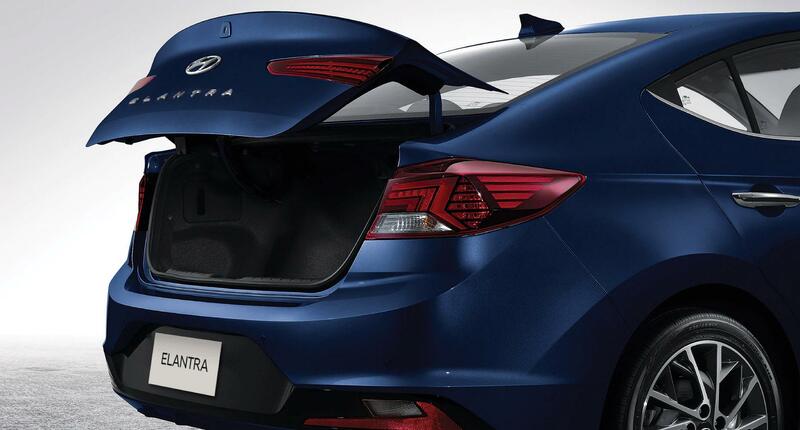 The Elantra is the embodiment of the H-Factor with the perfect combination of quality and value. With brand new technologies, you get safety, connectivity, and ease. 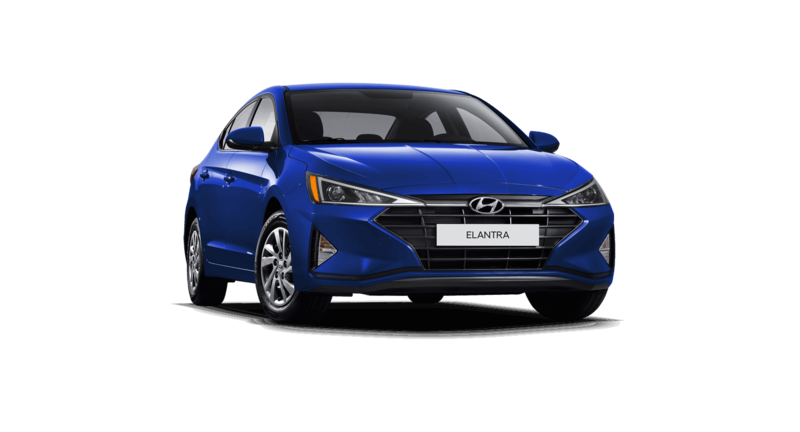 The Elantra is the embodiment of the H-Factor with the perfect combination of quality and value. Starting with the all-new sporty grille, the 2019 Elantra has been designed to accentuate every curve. With brand new technologies, you get safety, connectivity, and ease. Try out the wireless charging pad^, remote starter through theBlueLink® connected car system, or the, segment-exclusive,Safe Exit Alarm‡. With these new features, you’ll never want to leave your 2019 Elantra. The all new 2019 Elantra has been designed to make a sportier statement. Not only will you see a new grille, but there are new headlight and tail light designs that offer a beautiful outline which features LED technology to achieve a brighter beam and increased visibility. 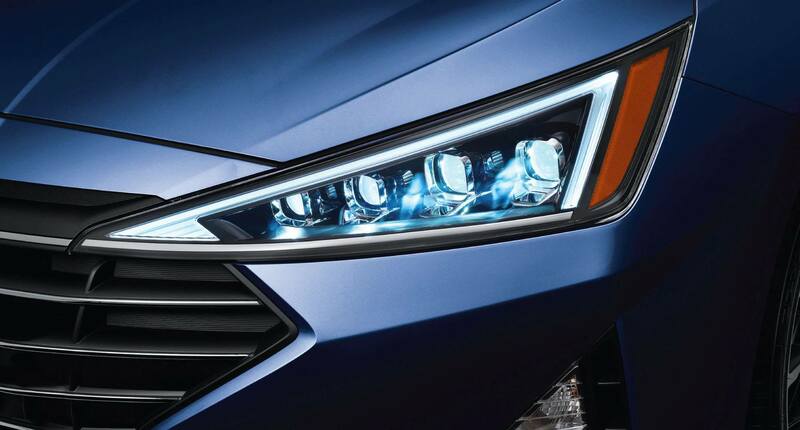 Featuring a bold and stylish look, the available 4 light, LED headlights project a significantly brighter and longer light beam on both low and high beams. The available integrated LED side repeaters look great as they clearly communicate your intention to turn. When paired with the available proximity key, your trunk will automatically open when you stand within three feet for more than three seconds. 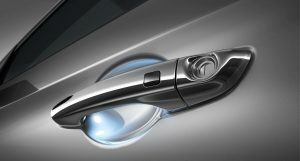 With the proximity key, you gain a courtesy light on your door handle as you approach or unlock your Elantra. The 2019 Elantra isn’t just about a new exterior. The redesigned spacious cabin has more sporty elements and offers more control and comfort. Try out the new ergonomic layout for the centre console and the available heated steering found in the Preferred, Luxury, and Ultimate models. Plus, you can try the available 8-way power driver’s seat with lumbar support or let all of your passengers feel comfortable on the chilly Canadian winter days with standard front and available rear heated seats. The standard 5.0 touch-screen is perfect for streaming music from your phone or connecting to it via Bluetooth to stay in touch with family and friends. 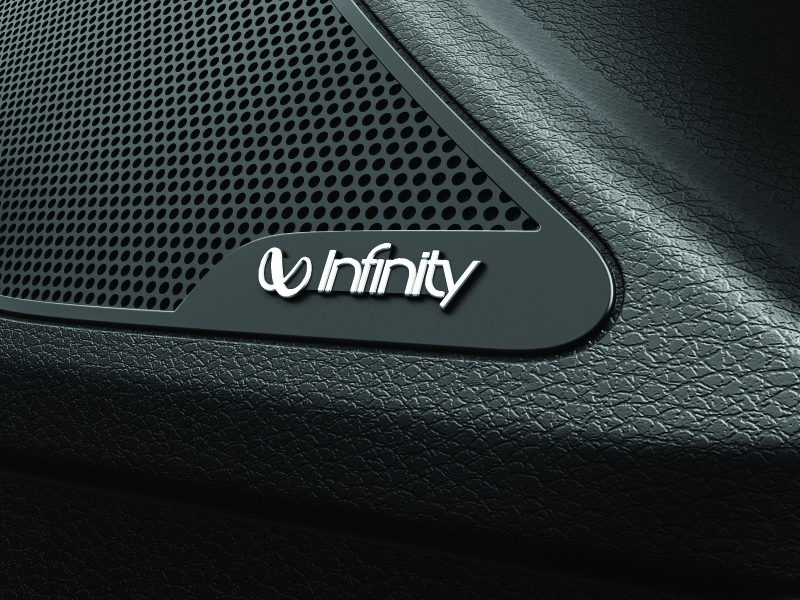 With the available infinity audio system, you’ll be able to do more than toot your horn. It includes 8 speakers within the cabin and an external subwoofer. Both driver and passenger can control their own zones with the available dual-zone climate control settings. Set preferred temperature, setting will be continuously maintained. Take off your winter gloves and enjoy the comfort that an available heated steering wheel can provide on those cold mornings and nights. A driver won’t know comfort until they’ve tried an eight way adjustable seat with lumbar support. Powered by a 2.0L engine delivering 147 horsepower, which can be paired with a 6-speed manual or automatic transmission to help you save fuel, while the available 6-speed automatic features SHIFTRONIC® manual shift mode for an engaging driving experience. The result is enhanced drivability and fuel efficiency. Powering the 2019 Elantra is a 2.0L engine delivering 147 horsepower, which can be paired with a 6-speed manual or 6-speed automatic transmission. The available Drive Mode Select feature allows the driver to adjust both throttle response and steering effort to match your preferred driving style. Just select one of the available modes by simply touching a button on the centre console. Designed with purpose, optimized aerodynamic lines of the integrated rear spoiler and undercarriage contribute to reducing drag, while the integrated air vents on each side of the lower front bumper minimize air twisting around the wheel to provide less resistance. At the core of the Elantra is the SUPERSTRUCTURE™, a state-of-the-art platform built with our very own Advanced High-Strength Steel to deliver exceptional stiffness and strength. In the event of a collision, the SUPERSTRUCTURE™ helps protect occupants inside the vehicle by absorbing harmful energy and redirecting it away from the passenger compartment. Start drifting outside of your lane without signalling and this system is designed to inform you with audible and visual cues. Lane Keeping Assist will help steer you back within your lane markings if no action is taken. 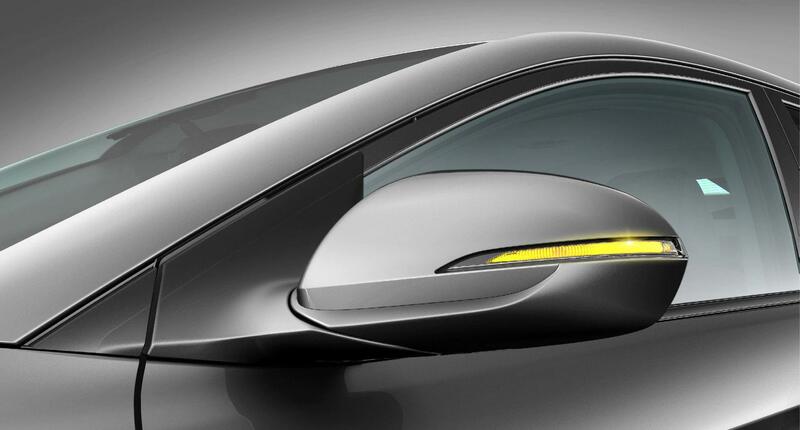 This innovative feature helps monitor driving patterns in order to detect fatigued driving. The system analyzes your driving, and if inattentive driving patterns are detected, an audible sound and message on the display panel will suggest a driving break. Stay connected with the entertainment you love and the connections you need. 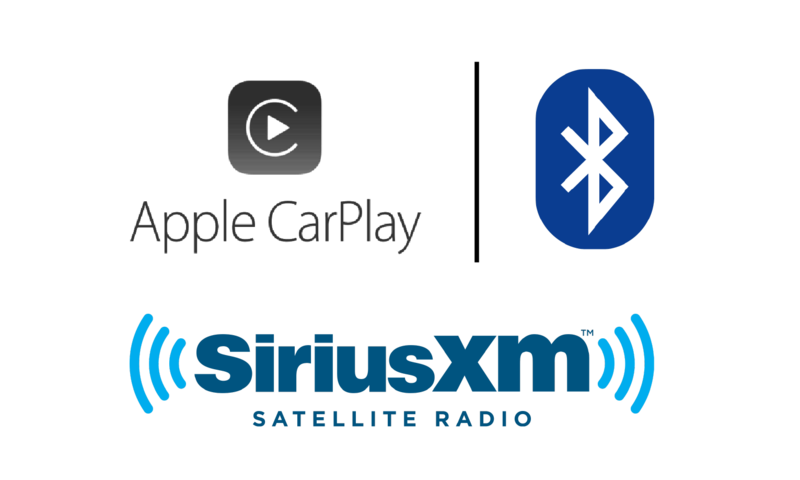 With available Android Auto™ and Apple Car Play™ smartphone connectivity you can interact with your favourite apps, music, display navigation directly on the touch-screen, and more using voice commands while your eyes remain on the road - where they belong.